Last week I penned a short piece titled "Mickelson Shrugged." It explained that champion golfer (and pretty rich guy) Phil Mickleson was contemplating leaving his home state of California to escape being preyed upon by greedy residents and politicians, who voted for him to pay much higher state income taxes so that they didn't have to. That way (they reasoned) they could continue to pursue their profligate ways without paying for it themselves. Since then I have discovered that it wasn't only Phil who shrugged. We can now add Eldrick "Tiger" Woods to the list which is starting to grow daily. He has admitted that he moved to Florida sixteen years ago to avoid having his money confiscated by the "Golden State" and pissed down a rat hole. It's hard to imagine how much money he has saved by doing so, or how much he has added to the economy of his newly adopted state since then. I was never much of a Tiger fan until I discovered he understood basic economics, at least his own. I might even root for him this weekend unless he gets too obnoxious again. 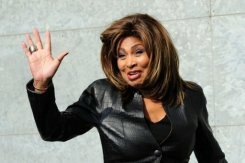 Then yesterday I heard that Tina Turner, the aging music icon, has decided to denounce her US citizenship and become a citizen of Switzerland. It seems that since she lives there anyway, she figures she might as well keep her dough, too. It helps that her wealth is denominated in Swiss Francs. The Swiss don't print them as quickly as our FED prints dollars, so they retain their value better on a relative basis. Smart lady. It appears that she is actually a "Dancer for Money" after all, just not so privately nowadays. So I had the idea that maybe I should be keeping track of all these "Lafferites." (A term I just coined. Unless of course someone somewhere already did, in which case, I apologize.) But I need you to help me keep track. There will be a lot more of these types from now on as Obama makes more progress in his class war against those who have made a bunch of dough. And some of them are just rich, but not famous, so I'll need help finding stories about them and putting them on the list. Therefore, anyone who regularly reads this blog is hereby deputized to round up the names of any who dare to publicly proclaim why they are fleeing or otherwise "Laffing" at those too dim-witted to figure out what to do. Just leave a comment here or email me and I'll be adding the names and any documentation to a new feature. It's titled Lafferites. Please be sure to visit that page on this blog often to check our progress. There is additional information and more clever commentary there. Yesterday I made a comment on Facebook and Twitter that "Mickelson Shrugged." I was referring to Phil's thinking aloud about how he would respond to the new tax rates in his home state of California that are aimed at guys like him and his family. Some are now reporting that he is sorry he spilled the beans on his ruminations. Notwithstanding that possible regret on going public before he decided what, if anything, to do, he is now the focus point for discussions on the "Laffer Curve." Despite what some people say, the "Laffer Curve" merely explains that humans respond to different tax rates in ways that aren't always the same as those imposing the taxes have anticipated. It's a simple concept that nevertheless doesn't fit the world view of those who try to advance the idea that small groups of elite people who have political power should be in charge of the wealth created by others. That group has had much success in convincing economic illiterates that the "Curve" is something else. In the interest of clarity, here is a look at what might happen to states like California now that they have convinced many people to vote for the immoral proposition that tax rates for some high earners should be higher to allow people like themselves to pay at a lower rate. Of course the explanation comes to us from Dan Mitchell at International Liberty where many economic lessons are explained in a way that almost anyone can understand. Many of you may already visit that site on a regular basis so you might wonder why I keep touting it and Dan's great work. The reason is that this site is visited daily by many people who are not regular readers and who land on this site for all kinds of reasons. They hail from all over the globe. It is my hope that those of them who have a taste for freedom will also be exposed to the explanations of why, despite any shortcomings it may have, freedom is the best path to a better society. To sum it up, I'll paraphrase the caption of a recent cartoon about new businesses in the Golden State. If someone wants to escape the discrimination inherent with the new taxes on high incomes in California there are several routes they can take. But all of them lead out of California. I maintain that I have the right, as a human being, to make economic (or other) arrangements with any other human being on this planet without violent or coercive interference of third parties, whether individuals, or groups of individuals. Those groups would typically be governments, trade unions, or other trade associations. The only legitimate restriction on that right is that I do not engage in behavior that infringes on the equal right of other human beings to do likewise. Any interference with that right is illegitimate, whether "legal" or otherwise. "Free Trade" is a basic human right. Most of us get a ton of forwarded emails each week. I get my share. If you do as well you know they have something in common with the jokes that also get to your inbox. That is, you have seen most of them before. Similarly, I'm sure many of you have seen the one below in the past. 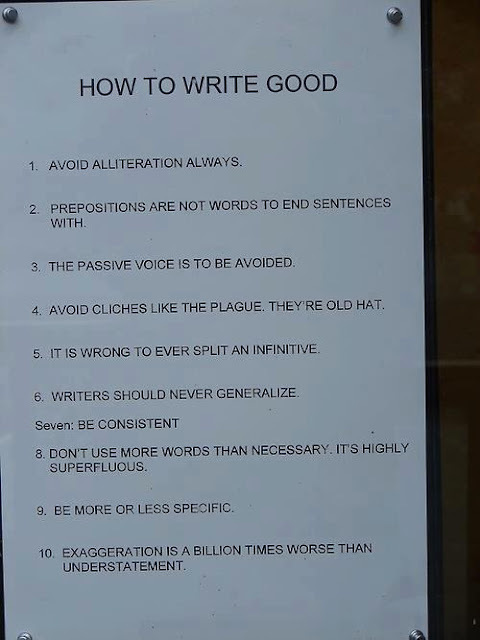 I received it yesterday from a reader, and even though I had not seen this one before, it reminded me of the well traveled recipe for "How to cook a frog." Anyone who somehow missed that recipe over the years can leave a comment below and I'll retell it for you. Let's title this one, "How To Catch Wild Pigs." We can assume it is a parable rather than a literal retelling. We can also assume it has been added to, redacted, and otherwise edited by numerous readers along the way before they passed it along to their list. I was tempted to do the same but decided against it. Here is the story. There was a chemistry professor in a large college, who had some exchange students in his class. One day while the class was in the lab, the professor noticed one young man, an exchange student, who kept rubbing his back and stretching as if his back hurt. The professor asked the young man what was the matter. The student told him he had a bullet lodged in his back. He had been shot while fighting communists in his native country who were trying to overthrow his country's government and install a new communist regime. In the midst of his story, he looked at the professor and asked a strange question. He asked: "Do you know how to catch wild pigs?" The professor thought it was a joke and asked for the punch line. The young man said that it was no joke. 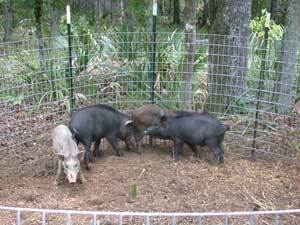 "You catch wild pigs by finding a suitable place in the woods and putting corn on the ground. The pigs find it and begin to come every day to eat the free corn. When they are used to coming every day, you put a fence down one side of the place where they are used to coming. When they get used to the fence, they begin to eat the corn again and you put up another side of the fence. They get used to that and start to eat again. You continue until you have all four sides of the fence up with a gate in the last side." The pigs, which are used to the free corn, start to come through the gate to eat that free corn again. You then slam the gate on them and catch the whole herd. Suddenly the wild pigs have lost their freedom. They run around and around inside the fence, but they are caught. Soon they go back to eating the free corn. They are so used to it that they have forgotten how to forage in the woods for themselves, so they accept their captivity." So there is the parable. It should provoke thought about where we are and where we are going as a country. I would also observe that the last paragraph seems to make the assumption that there is a conspiracy (of sorts) that has, and continues, to "push us toward Communism/Socialism" purposely. I'm not personally ready to take that leap as it stands, but neither do I dismiss the possibility out of hand. There certainly exist in the world people who would do just that if they could. I question only whether they have been able to be successful enough in the endeavor or whether Thomas Jefferson was correct in predicting that "The natural progress of things is for liberty to yield and government to gain ground." In either case we know one thing for sure, penned pigs usually end up being slaughtered. Carl Holzhouser, one of the highly paid researchers for this blog sent this piece along. Good work Carl! Expect your compensation to be 20% more on your next find than you received for this one. I have spent a lot of time over the last few years promoting Dan Mitchell's blog, International Liberty. If anyone who visited there was disappointed, I apologize. I'm guessing that won't be necessary for most who are regular readers of this site. It's a terrific source of information and informed opinion from a guy who is as amusing as he is enlightening. Of course the opinions are expressed from a libertarian perspective, but what else would you expect from this blog? It is, after all, about freedom issues. The post Dan wrote is excellent as usual and I recommend you read it here. The basic theme is about the IRS taxpayer "advocates" and what they are actually advocating. 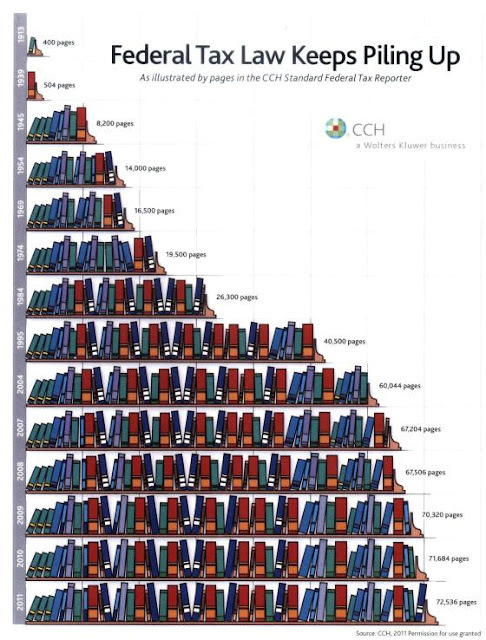 But I couldn't resist posting the picture because I believe that bigger government and more regulations equal less freedom, which is the basic theme of this blog. Editors note-- In the short time this post has been published this site has been visited by the Justice Dept. and the IRS. Rather odd, I think.